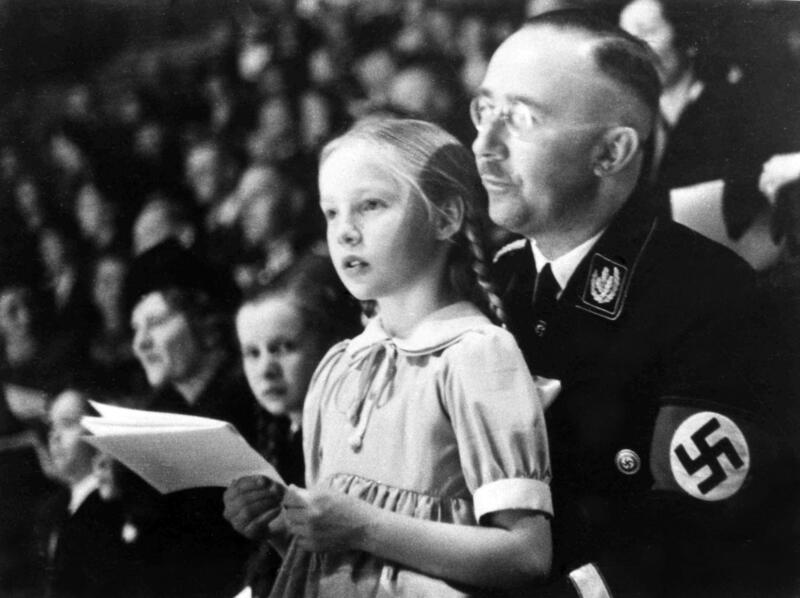 BERLIN -- Germany's foreign intelligence agency has confirmed that the daughter of top Nazi Heinrich Himmler, who led the SS, worked for it as a secretary in the early 1960s. The BND told Bild newspaper Friday that Gudrun Burwitz-Himmler, who herself was a notorious postwar supporter of the extreme right, worked as a secretary from 1961 to 1963. The agency says it ordinarily doesn't comment on personnel issues but confirmed Burwitz worked there as part of its effort to be transparent about Nazi links in its past. Burwitz-Himmler worked at the BND at a time when it was led by Reinhard Gehlen, a controversial ex-WWII German general who also worked for U.S. intelligence postwar and employed many former military officers and Nazis as spies. Burwitz-Himmler died in May at age 88. Bodo Hechelhammer, the head of the BND's history department said that because Burwitz was no longer alive, the BND was able to make an exception to its policy of not commenting on active or former employees, Reuters reports. Himmler was commander of the SS and one of the powerful Nazis. As head of the SS, he oversaw the concentration camp system and was one of the principal architects of the Holocaust. He killed himself in British custody in 1945.